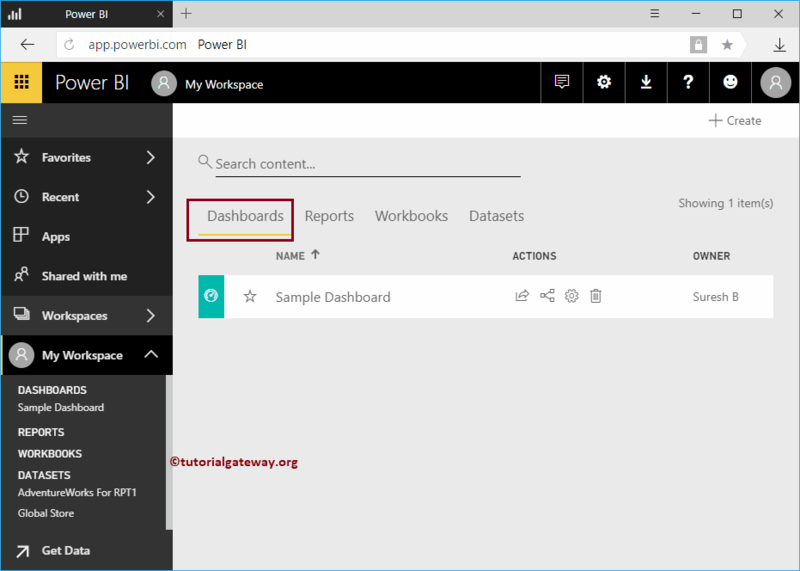 Power BI Dashboard is a collection of reports that explains everything about the business. 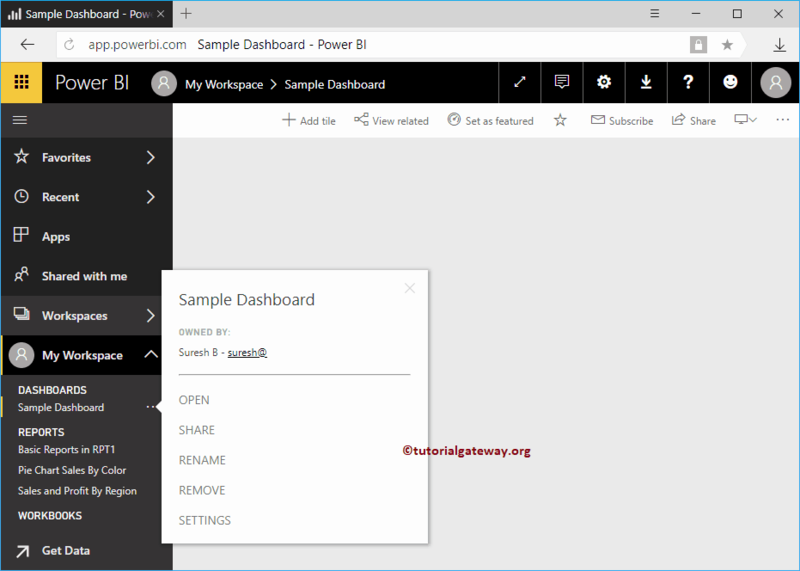 In this article, we will show you, How to create a Power BI dashboard with practical example. Before we start creating it, let me show you the list of dashboards that are currently available in my Power BI workspace. As you can see from the below screenshot, currently there are no dashboards available in my workspace. 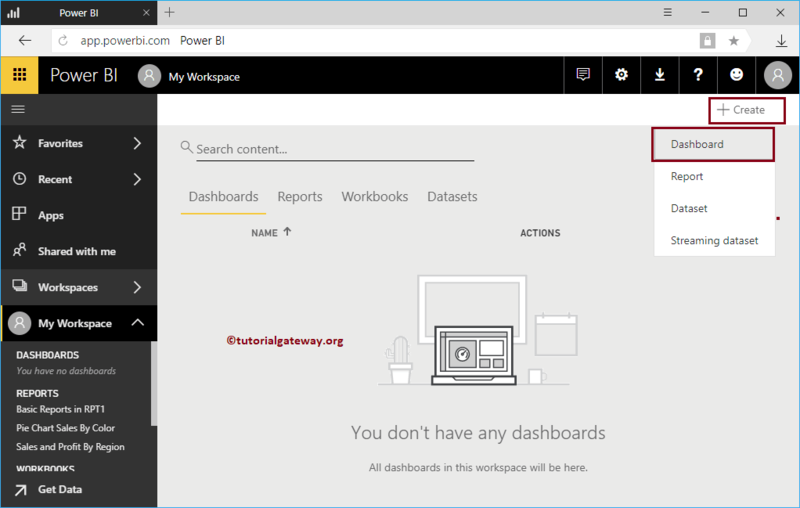 Creating a Dashboard in Power Bi is easy and straightforward. You have to use the + Create button for creating a dashboard inside your workspace. 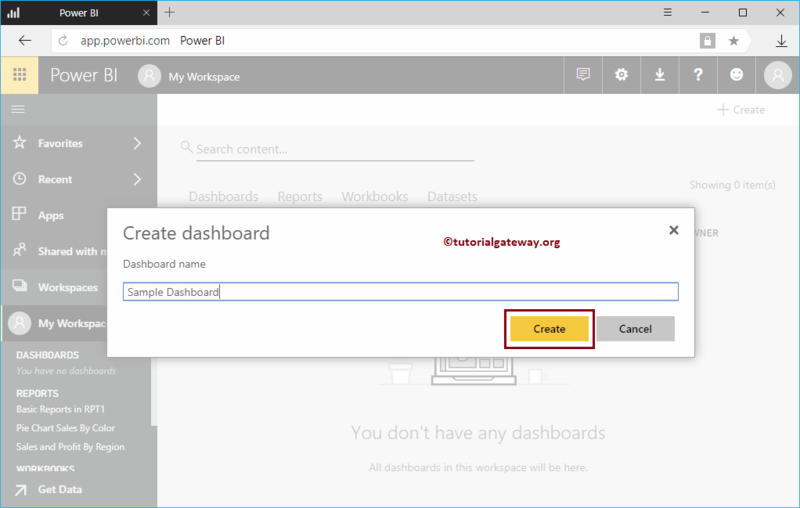 To create a new Power BI dashboard, click the Create Button and then select Dashboard option from the context menu. Selecting the Dashboard option will open a Create dashboard pop-up window. Please specify the dashboard name as per your requirement. Now you can see the Sample dashboard under the My Workspace section in the left pane. Let me navigate to My Workspace. Under the Dashboards tab you can see the newly created dashboard.